Hunters Creek Club was founded by Preston Mann in 1958 as Michigan's first pheasant hunting game preserve. Preston was born in St. Louis, Missouri, transplanted to Detroit during the Depression, and spent summers at his uncle's hunting & fishing camp in the Missouri Ozarks. It was during those summers that he cut his teeth training dogs, hunting squirrels and quail, and burnished a lifelong passion for the outdoors. As a young man, Preston thought he’d give Eastern Michigan University the ol' college try, but soon found that pheasant hunting was interfering with his studies. World War 2 was raging, and Preston felt called to serve his nation and put both academics and hunting on hold. When he enlisted, the Army recruiter inquired about his skill set, Preston scrambled for a reply, saying, “I’m a dog trainer, Sir.” He was shipped to Fort Robinson, Nebraska – home of the Army’s Cavalry Post and K-9 Training Program. Preston was at home among the Military’s resident jockeys and cowboys. After the war ended, Preston found himself back in Michigan. 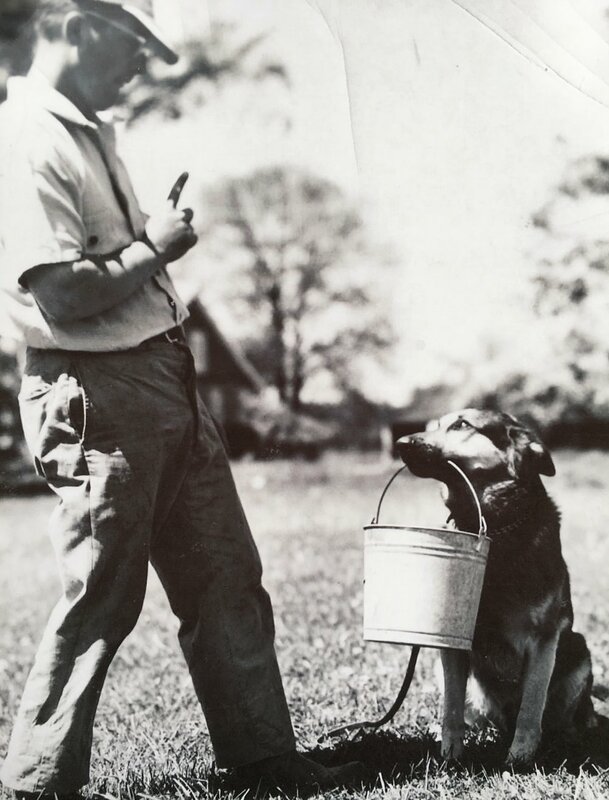 He founded the Preston Mann K-9 School, where dogs were trained in obedience, protection, and most importantly - hunting. Pursuing a spark of passion for game bird hunting, and with a stroke of entrepreneurial genius – Preston lobbied state lawmakers to expand what was at the time, a very limited season for bird hunting. Under the new legislation, folks could now hunt stocked game preserves for nine months of the year, versus the few weeks allowed on public lands. Preston’s hunting dog training operation was well primed for expansion. Preston founded the Metamora Shoot in 1958, just a few miles down the road from Hunters Creek Club. In 1964, he partnered with Ed Wilson, son of Charles E. Wilson - former President of General Motors, and Secretary of Defense under Dwight D. Eisenhower. Together they established Hunters Creek Club at its current location, and the club remains under ownership of the Mann family to this day. Preston's son, Charles P. Mann continues to carry on the family tradition as the current president and CEO of Hunters Creek Club.